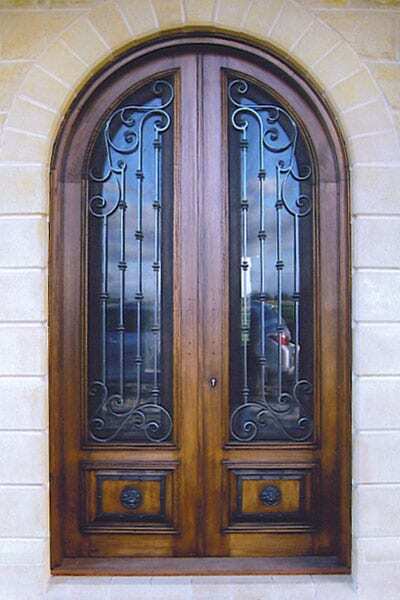 Aussie Doors – Wrought Iron & Timber Designer Doors all over Australia. Aussie Doors prides itself on the excellence of our quality workmanship, beautiful wrought iron and timber door designs and great customer service. Creating an elegant first impression with your entrance doors can be one of the most important design elements to consider when decorating your home. 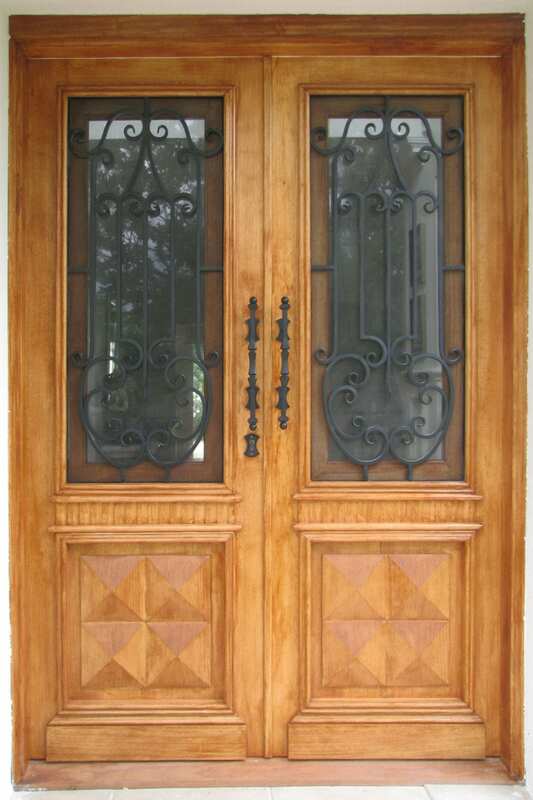 Our wrought iron designer doors ensure that your good taste in quality products and design is easy to perceive when arriving at your front entrance doors. Our wrought iron and timber doors add refinement and timeless elegance to your new or existing home, providing a talking point for new visitors. Our door designs can be customised to fit in with your own design ideas or matched to any existing architecture or wrought iron designs you have elsewhere in your home or on your property. Our doors project individuality in quality design when your visitors walk up to your custom made, bespoke timber and wrought iron door. Designing and manufacturing doors of either contemporary or classic styles, we guarantee our doors are hand crafted using only the highest quality timber and wrought iron available in Australia. 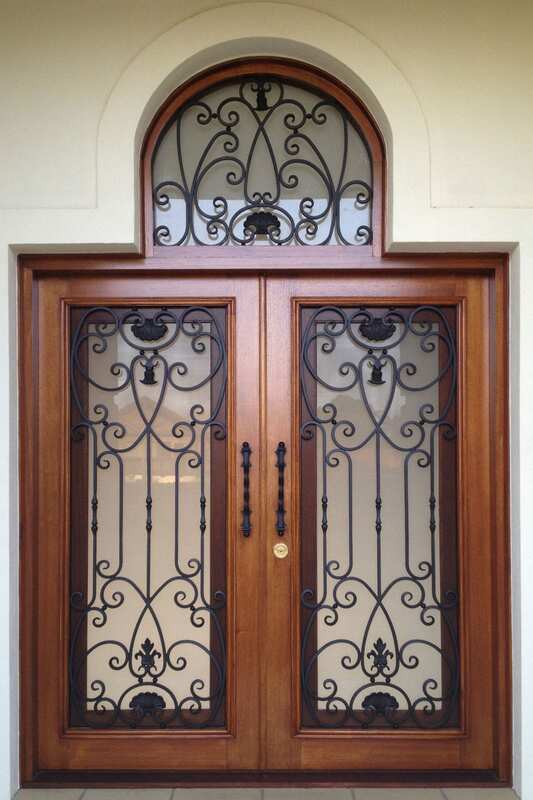 Our timber and wrought iron framed doors are manufactured to Australian standards by our specialist craftsmen. Custom made to fit the height and width of any entrance, in classic or contemporary styles, the wrought iron elements of our doors ensure you have both privacy and added security. 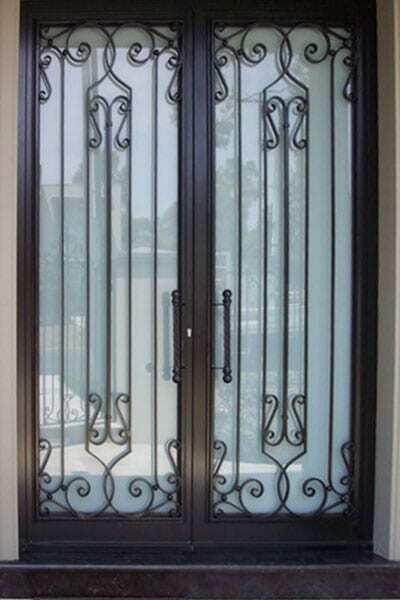 Whatever your requirements, our wrought iron designer doors are waiting to enhance the décor of your home or business. Please view our photo gallery for examples of the types of styles and doors available and projects we’ve completed for our happy clients. Our wrought iron & timber doors can be shipped anywhere within Australia including Melbourne, Sydney, Brisbane, Perth, Adelaide, Tasmania and Darwin. We provide expert advice to the home owner, architect, builder or designer. We can arrange installation if required.